Collection of recipe decals, ideal for decorating your kitchen spaces. Quality designs of recipes at unbeatable prices. 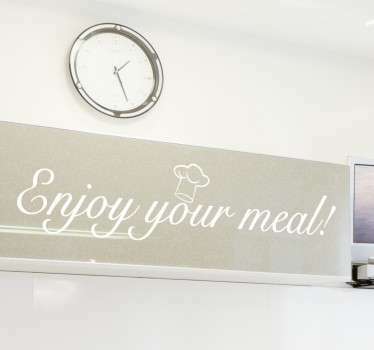 Original and creative text stickers with classic recipes, to give you some cooking inspiration in your kitchen. Choose from a range of recipe ideas, from a delicious apple pie, to some tasty pasta dishes. 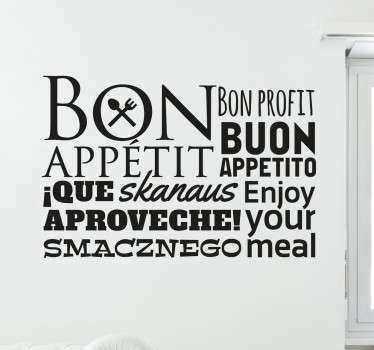 These stickers are sure to give you an appetite and also decorate your home in an alternative way. We can even create a special sticker just for you, with your own favourite family recipes! Just email us the text that you would like at info.id@tenstickers.com.